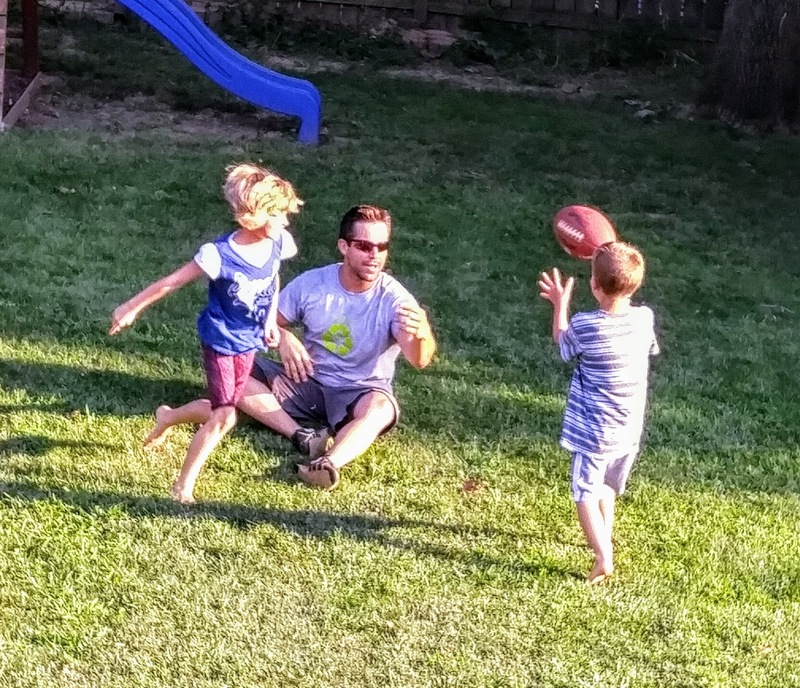 I loved summers at home with my own three Wonders-of-God's-Creation. Summer as Nonnie-Nanny for Super Daddy and his babies? So. Much. Awesomeness. ﻿﻿Summer with kids expands opportunities for snuggle-hungry grandmas to enjoy two arm belly hugs and forehead to forehead whispers. Summer splatters and spills are priceless, frame-worthy art. A rainy day means indoor cookies today and outdoor mud pies tomorrow. Each new day brings another new adventure. 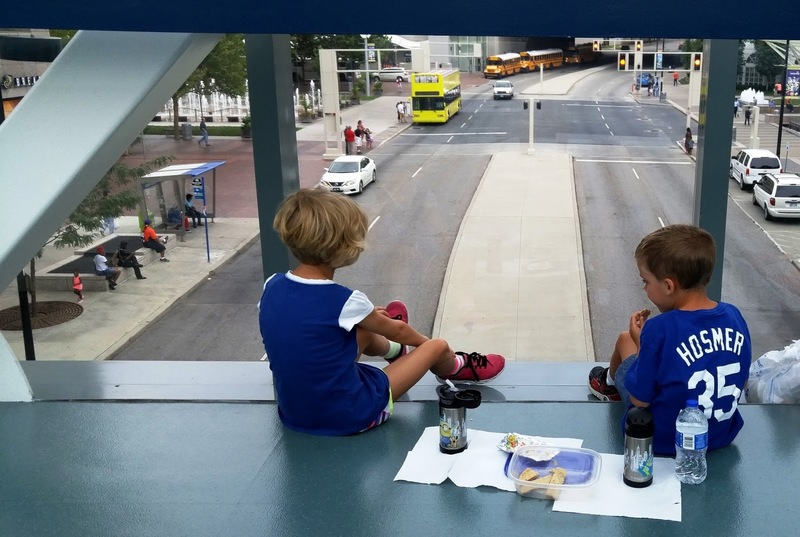 ﻿﻿﻿Summer 2017, we rode a streetcar (twice! ), visited the library, took swim lessons. 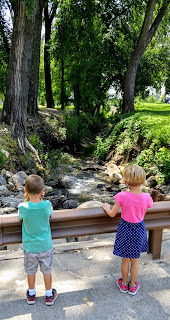 Climbed trees, saw movies, did the zoo and kid's gym, biked, ran, made slime, painted a birdhouse. Wonder Boy played team baseball. 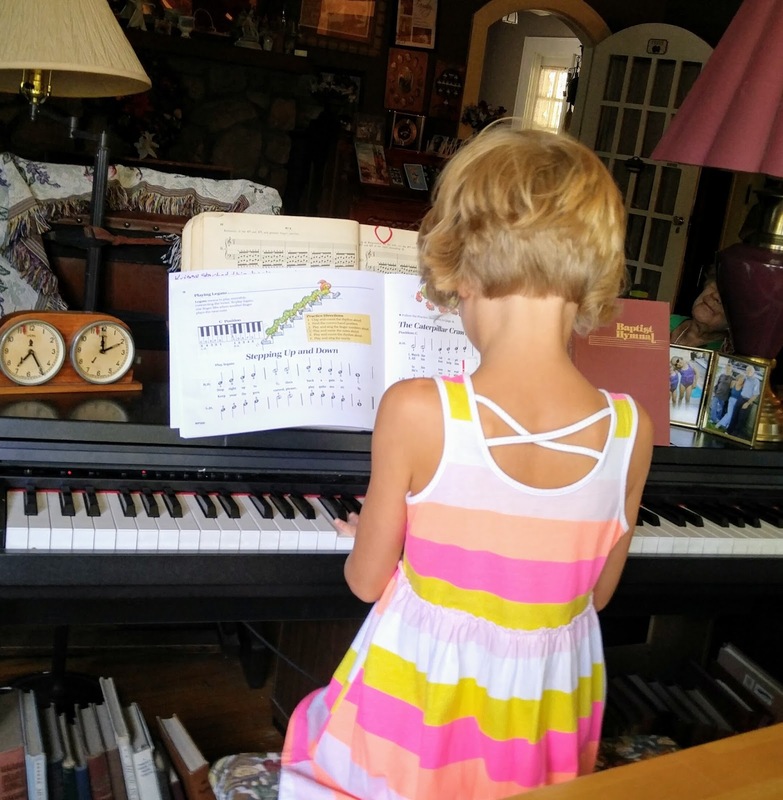 Amaze Girl started piano lessons. We wandered the shops at Crown Center, toured Science City and Union Station's train room. Visited Deanna Rose petting zoo. There were overnight road trips to see the great-grands, tea parties, costumes and makeup. 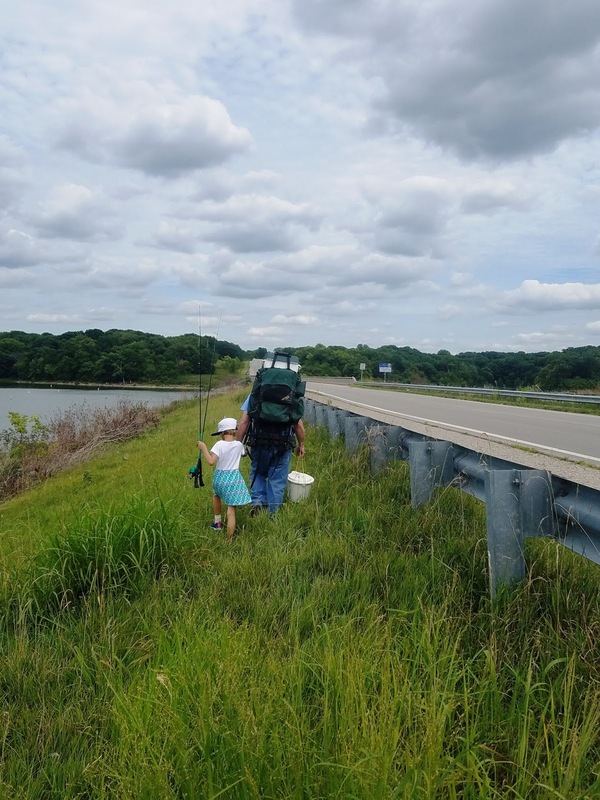 We danced to Schoolhouse Rock, collected sticks and bugs, traveled on a boat, went fishing. We floated the James River in a raft! To prepare for Wonder Boy's every afternoon therapy, we settled minds and bodies with physical, sensory and creative play. Immersed ourselves in soft blue sand, jumped on a trampoline, molded slime, read books, told stories, ran around the high school track. Wonder Boy loves being outside. He created a triangle of happiness between the swing set, trampoline and pool. On the swings, Wonder Boy glided back and forth, dragging bare feet through rubbery mulch. He made piles with his fingers before returning the wiggly bits to the starting point with his toes. So he could do it all over again. 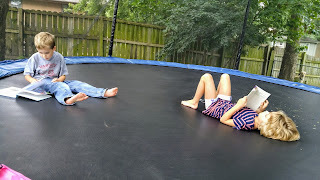 On the trampoline, Wonder Boy flipped, twisted, leaped. Ran in circles. Laid on his back, stared at the dappled sky through a green screen of lush Missouri leaves. Rolled onto his belly to inspect the mesh-framed grass below. Read a book. In the pool, he floated and tossed objects. Stood to let water drain, then dropped fast so a bubble would form between his suit and skin. Amaze Girl loves people and their creatures. She's happiest making friends out of strangers while learning about animals, insects, reptiles, fish. She collected bugs, played in mud, soared high on swings, bounced, ran, swam. Created castles out of playdoh, told stories with crayons, paper and scissors. Tucked into couch pillows, book propped against raised knees, she read aloud for fun. Amaze Girl is a fluid dancer and smooth runner. Her lean body bounds with easy, even strides. She's proven herself a quick learner and intent piano student. Graceful fingers curved over the keyboard, back straight, feet dangling, eyes on the page, she counted, sang, recited note names beginning at her first lesson. But the happiest summer moments? Football in the yard with Super Daddy. The gym with Super Daddy. Everything involving Super Daddy. A summer packed with sensory activity, new experiences, words, ideas, information, communication. All good things come to an end and summer is no exception. Today's awesomeness is buses, new friends, reading, writing, math, science. 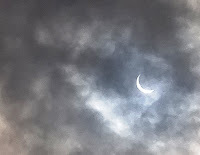 Watching the moon cloak the sun through a bank of dark clouds. After how did you break your arm? The second most popular question is uttered with eyebrows lifted, corner of the mouth raised, as though I'd said I was vacuuming the lawn: Why were you sweeping off the trampoline? When Super Daddy and his sisters were small they climbed trees, built snow forts and mud castles, slid down snowy hills on box-sleds. They swam in buggy, muddy lakes, body surfed ocean reefs, fished. They jumped off the backyard deck, danced (nearly) naked in the rain, twirled, skipped, cartwheeled; competed for the highest spot on the jungle gym. They stood, sat, jumped, twirled. Saw, heard, touched, tasted, smelled. Built an appetite for dinner, wore themselves out for bedtime. And exercised their tactile, vestibular and proprioceptive systems while integrating their senses. They thought they were just having fun. Proprioceptive System - subconscious awareness of body position using muscles, joints, and tendons. Those with underdeveloped systems may display tendency to fall, clumsiness, poor fine motor skills, sloppy eating. Of course, kids don't play like they used to. 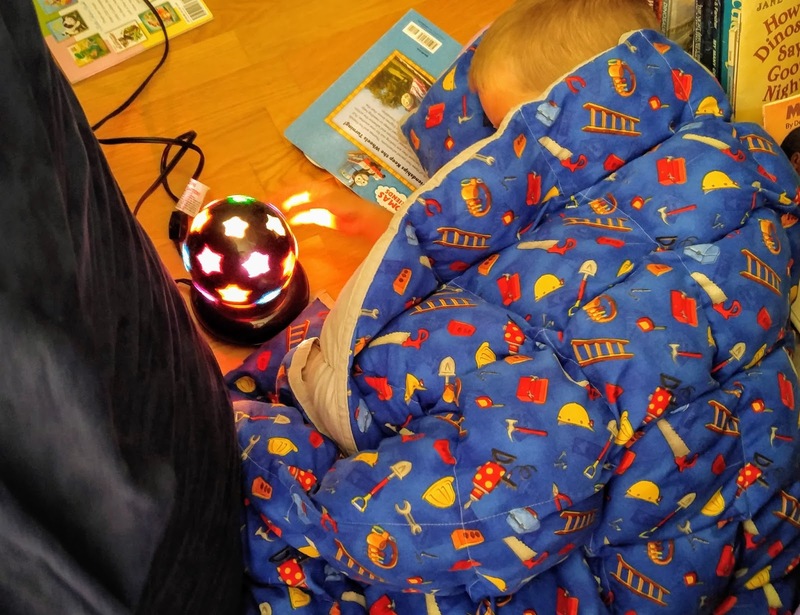 Sensory systems are sometimes neglected in the formative years. And all kids with underdeveloped sensory systems don't have autism. This post isn't about them. 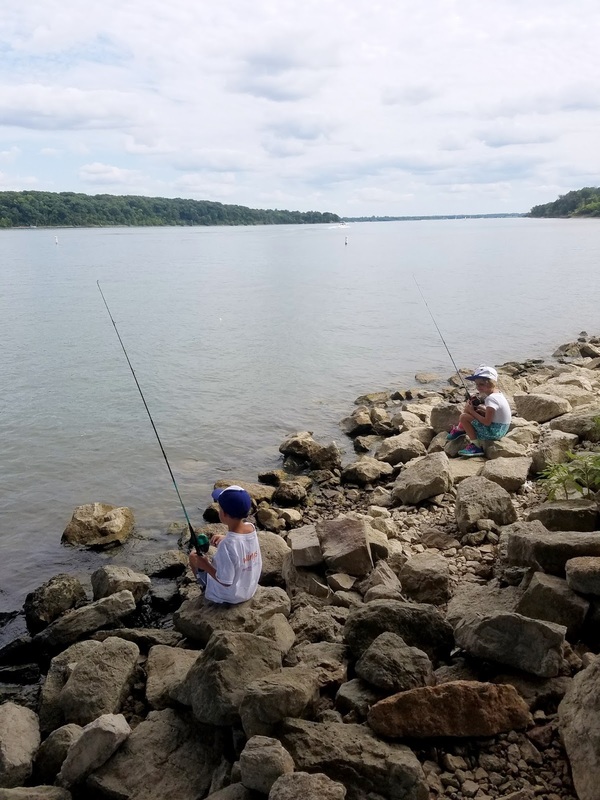 In autism behaviors like repetitive hand flapping, or rocking, humming, twirling help kids with underdeveloped sensory systems cope with life in a fast, bright, touchy, noisy world. Wonder Boy covers his eyes to view light and movement from the side. He watches wheeled toys roll on a flat surface. Water immersion soothes him. Amaze Girl has challenges with balance and coordination. 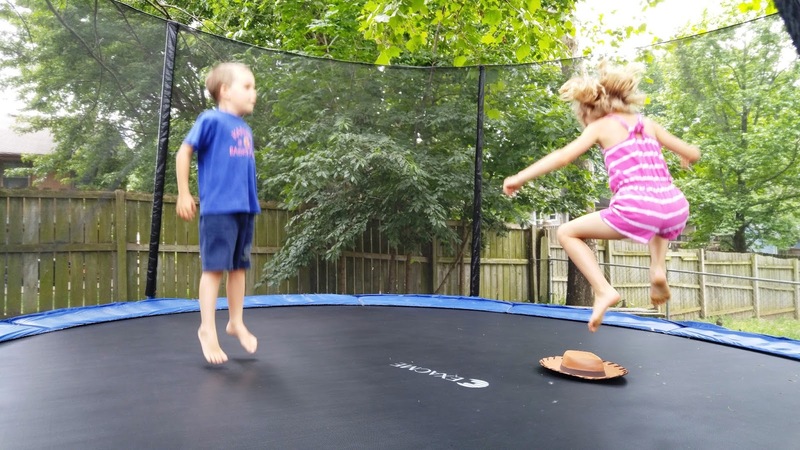 Both children love to jump. Bouncing on a trampoline rouses sensory, tactile, vestibular and proprioceptive systems, works minds and feeds brains while improving kinesthetic awareness and core strength. Nerves are stimulated, heads move in coordination with muscles, joints and tendons. 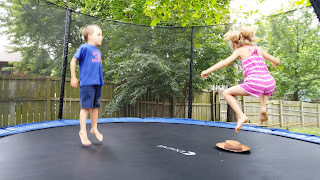 Jumping on a trampoline defines where bodies exist in space, lights neurons. "…bounce me up! Bounce me! Please, please, please? I'll stay out here all day." Jumping is a haven of sensory fulfillment; where equilibrium, coordination and tactile satisfaction meet. 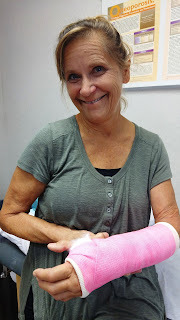 Is it worth a broken arm to assure the trampoline is prepped and ready to provide all that to two of the best darlings ever? The tunnel was dark, backlit by water filled storefronts stuffed with sea life: sting rays, dolphins, coral, fish. Feet clattered, voices murmured. As we moved hurry-hurry-rush-rush from one exhibit to the next, Wonder Boy grew increasingly agitated. He pointed with a sharp, unfocused finger, shook, slapped his ears. Finally he threw himself to the ground, kicked, flailed, screamed, hit himself in the head. It was a fun day at the aquarium. Until it wasn't. 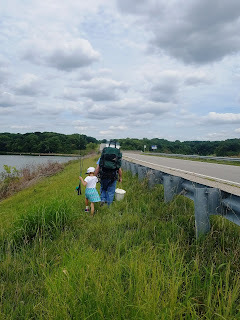 To most, transition means life changes that splinter expectations and require personal adjustment: middle schooler starts high school, first year of college, just married, new baby in the house. Divorce. "Transition" in autism also shatters the status quo. And may be anything that begins, "time to…"
It's putting toys away for bath, to eat dinner or leave the house. It's getting out of bed, getting into bed, brushing teeth, putting on shoes. 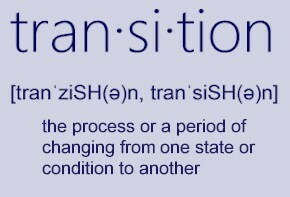 Transition is leaving any activity, especially when it's "preferred," for any other activity, preferred or not. To people who love a person with autism, Transition is spelled with a capital T. It's a living, breathing, monster sized noun. It's an active, unpredictable verb. It's a ticking time bomb that, poorly managed, might, could, maybe spell unhappiness - for minutes, hours, days. The problem with transitions is that there will always be another transition. If you get into the car, you have to get out of the car. Toys taken out must be put away. Come, and eventually it will be time to go. Emergencies happen, requiring quick movement. Work schedules change without notice, people make mistakes, divorce, die, have babies, and estranged parents refuse to communicate, participate, cooperate - altering life's anticipated order. cozy space, rotating star light. As death, taxes and transition are inevitable professionals stress the importance of helping the person with autism learn coping strategies. Techniques are as individual as autism is unique, for example one person might need a quiet leave-me-alone space, while another craves sensory massage. He might yearn to stim (flap hands, point, run trains across a flat surface) or script (patterned repetition of lines from a movie, favorite saying or rhyme). She may cover eyes or ears. Whenever possible, it helps to prepare the person with autism for imminent change. Wonder Boy's ability to Transition improves when he's given notice along with a timer ("5 minutes to play then we'll brush teeth"). When the timer goes off he moves to the next activity. Sometimes with complaint, but rarely with issues. The aquarium visit was early in our Autism Adventure. We didn't know about Transition, coping strategies, timers. What Super Daddy did was born of paternal instinct: he assured Wonder Boy was safe during his meltdown. He wrapped Wonder Boy in daddy's strong arms and gently squeezed his son's little body calm. Super Daddy spoke low and slow and created a pocket of peace within the sea of moving people and echoing sound. Together, father and son transitioned to the next display - when Wonder Boy was ready. And there was serenity. Tranquility. Peace. Until the next Transition. On November 30, 2015, Wonder Boy received the following diagnosis: Autism Spectrum Disorder with Global Developmental Delay, including Expressive and Receptive Language Disorder, level 3, requiring "very substantial support" (a diagnostic term) in all areas. Translation: at nearly 5 years old, virtually all of Wonder Boy's abilities were delayed; he met no developmental milestones for a child his age. He neither understood language spoken to him, nor could he express himself to others. While Amaze Girl rose from her early childhood with focus and attention challenges, she does not have diagnosed autism. 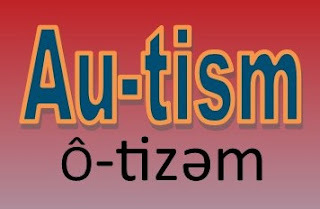 Autism is characterized by differences. In the way a person walks, talks, moves, thinks. Bodily function, expression of ideas, sensory, social and psychological need, physical and emotional ability. Differences – compared to what is what is typical and expected – in the way brains work. There's no one kind of autism because there are a multitude – a spectrum – of potential combinations of differences that result when neurons fire in unexpected ways. "Autism…refers to a range of conditions characterized by challenges with social skills, repetitive behaviors, speech and nonverbal communication…"
Genetics? Environment? Gluten? Sensory deprivation? Abuse, neglect? Lead exposure, childhood immunizations, mother-didn't-eat-right-take-prenatal-vitamins-go-to-the-doctor? All of the above? A recent study indicates brains of some people with autism may be atypically layered. The unique structuring causes neurons to appear in unexpected places, requiring unconventional neural pathways to accomplish work. Evidence suggests that cranial reformations may happen as far back as the second trimester of pregnancy. What causes the brain's differences and alters neuron function - including what lead does to developing brains that result in autism - is not fully understood. Whatever the cause, experts agree that intervention is most successful if it begins before a child is 3 years old, when brains are young and neurons nimble. Autism is usually identified by a child's physician at his well child check-up before he is 3 years old. 1. Social/emotional: verbal and nonverbal communication, eye contact, facial expressions, interaction, functional abilities. 2. Patterns of behavior: ability to transition, response to sensory input, restricted interests, rigid thinking patterns, repetitive movements, preoccupations. 3. Onset should occur during early development and cause significant functional difficulties not better explained by another concern. Wonder Boy began daily therapy when he was 5 years old. Today, he has words. Uses the potty, dresses himself. Identifies letters and numbers. Writes his name. Amaze Girl reads, writes, computes and revels in sensory and educational experiences. There's much we don't know about how our gray matter works. Can the brain overcome injury and neglect? If properly fed, watered and energetically stimulated, will the brain regenerate and repair?